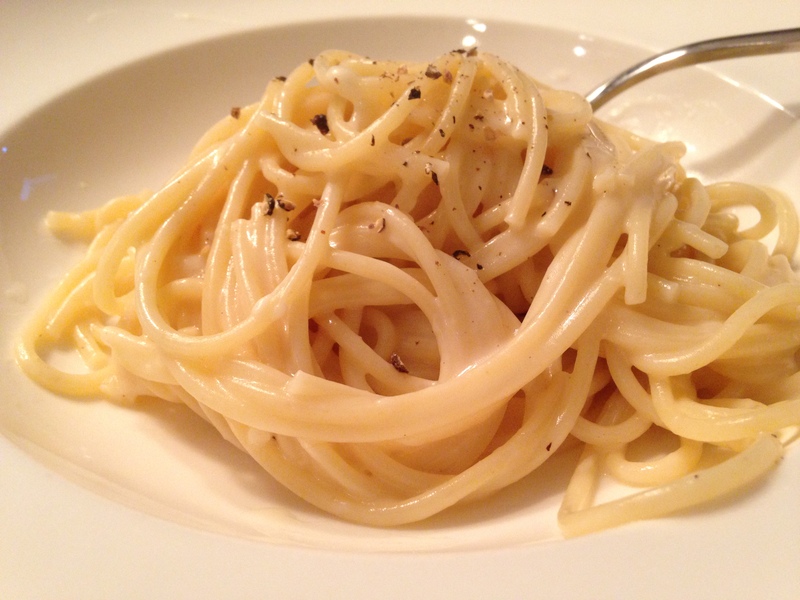 Cacio e pepe, a specialty of Rome, is a simple pasta that makes a delicious, quick meal. It’s very satisfying to watch the sauce become creamy without the addition of milk or cream – just cheese and pasta water. For this recipe, I made few changes. I’ve noticed many recipes, like this one, instruct you to combine the cooked pasta, cheese, and pasta water, whisking all along to make the sauce. It’s not easy to whisk pasta! It is easier to combine just the cheese and hot pasta water, whisking them together to create a creamy sauce, then add the pasta and toss together. Cacio e pepe pairs perfectly with arugula and seasonal greens. Hi! 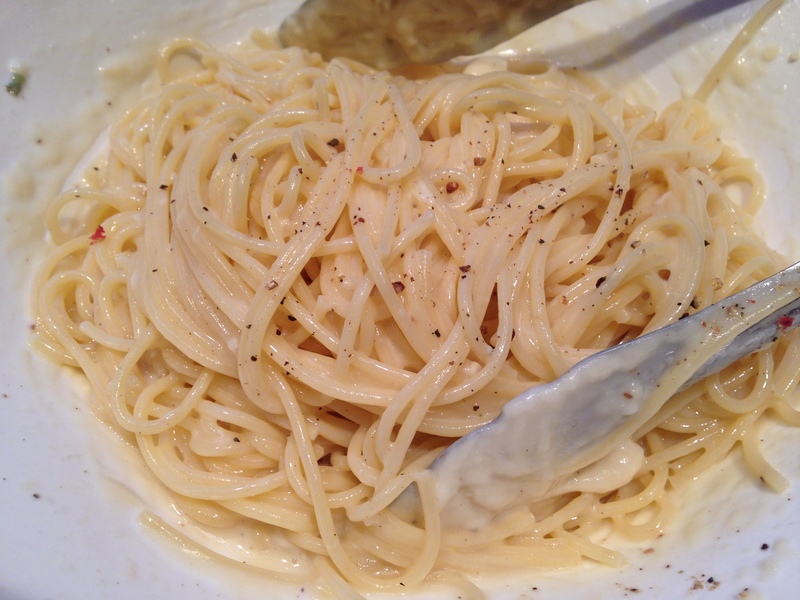 The food looks beautiful; your pictures are some of the few I can find that show a sauce/pasta with the right consistency, and I’m desperately trying to dial in this feature on my cacio e pepe. Any chance you have a ballpark figure on what the water-to-cheese ratio was? Also – Ambrosiana (the recipe originator) calls for “pecorino Romano (the more aged the better)”; do you have an idea how old your pecorino was? Hi, Thanks for your comments! You will need at least a cup or so of the pasta cooking water. You can start out with less water, adding more, gradually, as you whisk the cheese and water together until you achieve the texture you like. Always save more pasta water than you think you will need. I tend to make a more fluid sauce so I’m sure I add more than a cup, but I go through the same process of adding it little by little, whisking as I go. Regarding the cheese, I prefer aged Pecorino Romano. The more aged, the stronger the cheese will be. Less aged, your sauce will be more mild. Hope this helps.